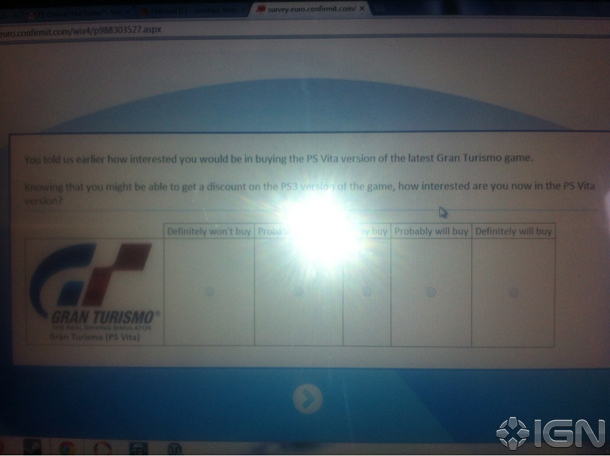 A market research survey has been spotted mentioning the driving simulation game Gran Turismo for the PlayStation Vita. 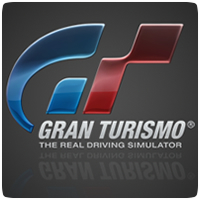 The survey goes on to mention discounts for gamers who already have Gran Turismo on the PS3 and using PlayStation Plus as a mechanism for gamers who own both the PS3 and the PS Vita. That last question is very interesting and is definitely sure to entice gamers who own both consoles to purchase more games. 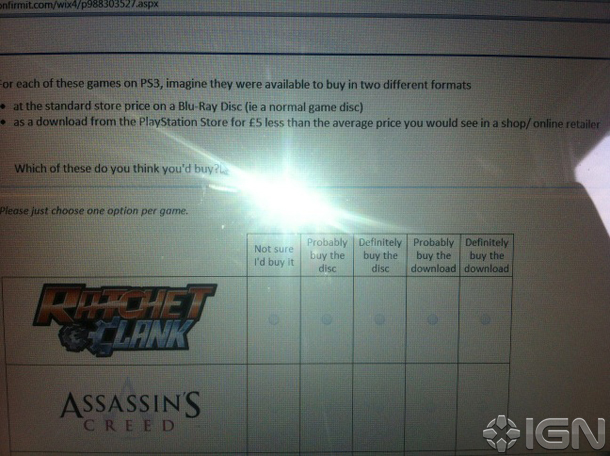 However, the survey did suggest that the offer could only apply to digital versions of the games. Surveys like this are common to gage what the market wants, and usually helps plan what Sony will do next. The survey suggests that Sony is working on a GT game for the PS Vita, as it’s a popular title and one that will help sell more PS Vita units. 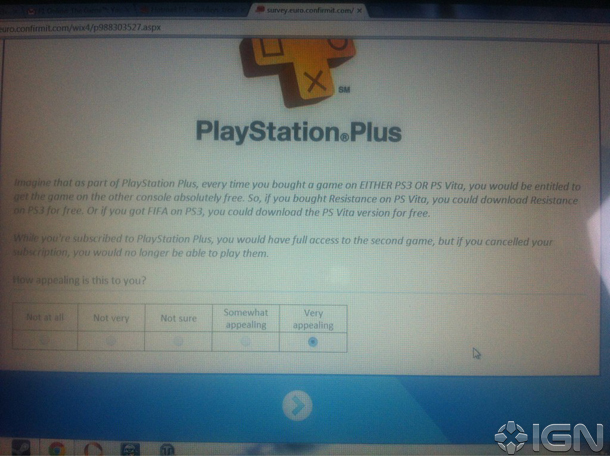 It also suggests that more changes will be coming to the PlayStation Plus model, hopefully benefiting PS Vita owners.